Keeping your community safe is mission critical. You already know that caring for the vegetation in your neighborhood is a big part of that, but the assessment of long-term plant growth and inventory reduction needs is a tough thing to handle when you’re managing a municipality. 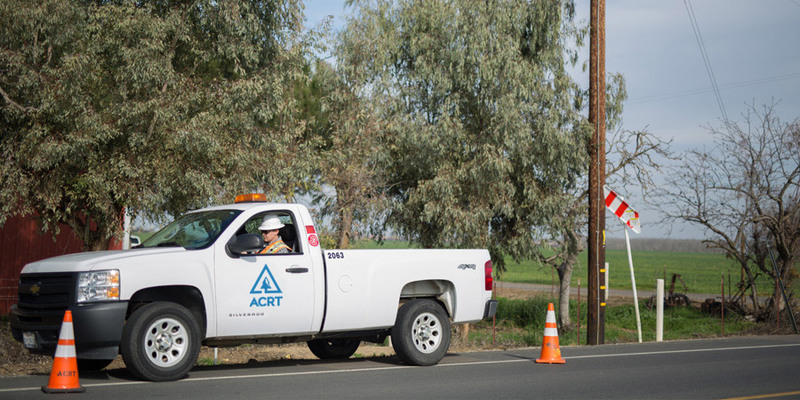 At ACRT, we are a partner in helping our municipality customers keep danger at bay. We recognize that your department is essentially a one-stop shop for vegetation management, and sometimes it can seem like you’re spread too thin. Our consultants can help you identify an approach to VM that takes into account the infrastructure needs of your community with a comprehensive look at how plant growth will affect critical lines in the future. When you need additional resources, our foresters are available to fill the gaps wherever you need their help walking the circuit to ensure progress is being made. You know it’s critical to remove dead tree inventory and keep roadways and power lines clear. Count on ACRT to be your partner in keeping your citizens safe. The importance of an effective vegetation management program relies on objective, comprehensive insights into what’s best for your organization. At ACRT, we’re the only independent national vegetation management consulting firm — giving us the freedom to put our clients first. Learn more about how we’ve helped our clients reduce costs and improve reliability. Arborcision is a major evolutionary leap in the arena of Utility Vegetation Management. There is nothing out there that even comes close to it. It should be a critical component of every Right-of-Way management program. The data is invaluable in decision-making, cost analysis, and in the establishment of targets.